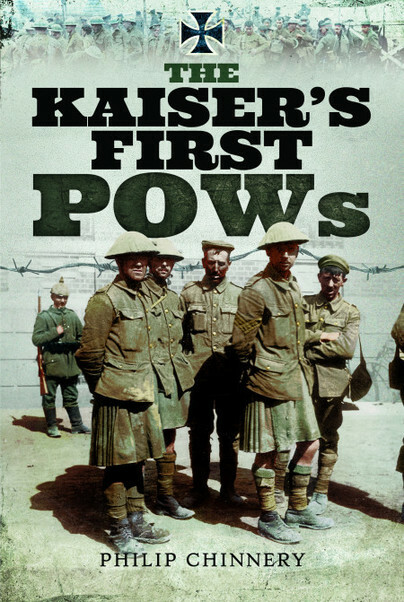 You'll be £8.00 closer to your next £10.00 credit when you purchase The Kaiser's First POWs. What's this? In 1915, the German government published a book entitled ‘1915’ in an attempt to portray the Germans as a civilised people who were destined to win the war, who would treat their prisoners with care and compassion. The Kaiser’s First POWs is the first book to compare the ‘official’ German view to the grim reality of captivity, as experienced by the prisoners. Dozens of original photos from ‘1915’ tell the story as seen by German eyes. Compare them to the personal accounts from former prisoners who describe the reality of falling into the hands of the German Army and life as a prisoner of the Kaiser. By the end of the war, the Germans had taken approximately 2.8 million prisoners of war. This books describes the life and times of these prisoners and the manner in which the Germans dealt with the problems involved in accommodating them. It's something of an eye-opening book with plenty of period photos showing camps throughout. At a time when we mark the 100th anniversary it is fitting that the POWs are so well served by this work. By the end of the First World War, the Germans had taken approximately 2.8 million prisoners of war. This book provides extensive detail on the life and times of these prisoners and also the manner in which the Germans dealt with the problems looking after them... The book contains engrossing photographs throughout. The book is worth picking up - there are useful passages and some nice camp plans and photos.